Just when you thought leeches and abandoned fishhooks were the only dangers lurking in lakes and rivers, here’s another thing: leptospirosis. This bacterial infection, caused by various species of the genus Leptospira, can lead to kidney damage, liver failure and worse in dogs and their human counterparts. Leptospires are typically found in rivers, lakes, streams and soil. The organisms flourish in warm, slow-moving or stagnant water, but can also be found along the shores of lakes and rivers and in wet, shaded grassy areas. They can pose a danger to dogs who spend more time splashing in the water during summer and fall. Infected animals shed the organisms in their urine, where they get into the soil and water and thrive. Once the bacteria make their way into water, they can survive for months. Dogs become infected by exposure to contaminated water or soil, by contact with infected urine, by the bite of an infected animal or by eating infected prey. The bacteria can penetrate the tissues of the mouth, nose or eyes, or even a scratch or cut on the skin. Leptospirosis is a zoonotic disease, meaning that it can be transmitted from animals to people. The trouble is, infected animals, including dogs, often don’t show signs of illness. So if your dog has leptospirosis, you could become infected when cleaning up a urine accident in the house, although you are more likely to be infected by swimming, waterskiing or boating in contaminated waters. The good news is that felines appear to be less susceptible to infection than dogs or people. How can you tell if your dog has leptospirosis? It’s not easy. Most dogs show no signs at all, some may have mild signs and recover, while others can develop severe, life-threatening signs. These signs can range from fever, shivering, muscle soreness, vomiting, diarrhea and loss of appetite to increased thirst and urination, yellowing of the gums, eyes and skin and difficulty breathing. Infection can also lead to bleeding disorders, resulting in blood in the vomit or stool, nosebleeds and purplish spots on the skin and gums. Even if your dog isn’t showing signs, it can still shed the bacteria in its urine and make others sick. In people, leptospirosis can cause kidney and liver damage, meningitis (inflammation of the membrane surrounding the brain and spinal column), respiratory distress, abortion and even death. Like dogs, some infected people may show no symptoms at all while others may experience severe headaches and flu-like symptoms. Because leptospirosis can have serious consequences for your dog and your family, it’s important to arrive at an accurate diagnosis. Depending on the dog’s signs (or suspicion of leptospirosis in your family), your veterinarian may recommend diagnostics such as blood and urine tests, X-rays and an ultrasound. If your dog is diagnosed with leptospirosis, consult your veterinarian and family physician for the best ways to protect your family. Antibiotics are the cornerstones of treatment. Dogs may also be given medication to help reduce vomiting and diarrhea. In severe cases, pets may need to be hospitalized and given intravenous fluids, oxygen therapy, kidney dialysis and additional medications. If there are other dogs in the household — even if they aren’t showing signs — your veterinarian may recommend treatment for them, too. With early and aggressive treatment, most dogs recover. However, some dogs may have permanent kidney or liver damage and others may not make it. Unfortunately, there’s no way to tell if the water’s contaminated before you or your dog cannonball off the dock into the lake. 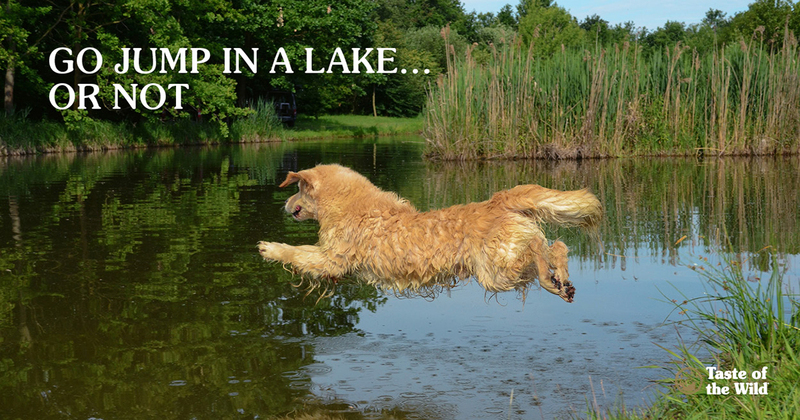 It may help if you bring fresh water for your dog and avoid letting it drink from lakes, streams and stagnant water. There is a vaccine available for dogs that may help prevent infection with some of the most common types of the bacteria. This annual vaccine is usually not part of the routine vaccine schedule, so you should talk to your veterinarian to see if your dog may be at risk, especially if you spend a lot of time outdoors together.